I believe that in therapy the therapist and client work together as a team to facilitate healing and personal growth. Therapy should be safe, supportive and effective. To facilitate this, I work in an eclectic manner, varying strategies and techniques as best suit each individual. Everyone comes to counselling with their own strengths and skills, as well as the difficulties they are currently facing. I help clients use these strengths and skills, while dealing with the difficulties. I see clients for short or long term therapy, depending on their needs. 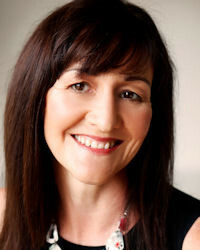 I work in general counselling therapy, including counselling for depression, anxiety, career and relationship issues. I have a special interest in working with survivors of child abuse/ trauma, including survivors who are self-harming, suicidal or dissociative. I offer specialised parenting support for child abuse survivors. I also provide counselling for pregnancy and birth trauma and other adult-onset traumas. Supporting clients make dietary and healthy lifestyle changes is another area of interest . I use my post graduate qualifications in health education and health promotion in conjunction with my psychology training to offer specialised support to these clients. I believe in working with clients as a team: together we identify the path to safe and effective healing, as such my therapeutic approach will vary. However the focus remains on empathic, supportive and effective therapy. Generally my approach is humanistic, attachment focused and psychodynamic. Often this is combined with sensori-motor psychotherapy, mindfulness and art-based therapy strategies. I also use Cognitive Behavioural Therapy (CBT), Acceptance and Commitment Therapy (ACT), Motivational Interviewing, Solution Focussed Therapy and Emotionally Focussed Therapy (EFT) as needed. When working with complex trauma survivors I use evidence based three stage trauma processing therapy with a focus on safety and stability. As a registered psychologist, with the Psychology Board of Australia, I have undertaken a rigorous training program, lasting over 6 years, requiring over 3000 hours of supervised practice as well as extensive university studies prior to registration. As part of maintaining my registration, I have ongoing training each year and attend regular supervision. I am an associate of the Australian Psychological Society and a Member of the International Society for the Study of Trauma and Dissociation. I have worked and studied in the health and welfare fields for 25 years, with a professional background in health education, drug and alcohol services, sexual assault, child trauma, birth trauma counselling, disability services and aged care. Most particularly I have a strong professional interest in complex trauma, working with survivors of child abuse in particular. As part of this I have experience in working with survivors who engage in self harm, feel suicidal or are experiencing crises in their lives. In addition to my psychology training I also have post graduate training in health education and promotion and support people in making healthy lifestyle changes such as weight management, exercise and quitting smoking. I originally chose to study psychology as an 18 year old who was interested in "brains and behaviour" but I did not come from an academic family at all and really had little idea what a psychologist did and I don't think I had ever met one! However it turned out though my choice all those years ago was a lucky one, as I love what I do. As I got older and more aware of my profession it was the mind-body connection and the huge potential of the human being to heal that really hooked me into counselling. Psychology is such a broad profession and we can work in lots of areas but by half way through my training I knew that it was counselling in particular that fascinated me. The longer I sit with my clients and witness their transformations, the more I find this profession so rewarding. I am influenced by psychodynamic and sensori-motor theories in particular. Mindfulness is also an approach that I have grown to love (although I assure you it was not a natural approach for me originally!) I am also fascinated by the field of trauma and dissociation and there are several approaches that have very much influenced me such as 'Structural Theory of Dissociation'. I like the way some of the newer models of trauma and dissociation therapy propose that trauma symptoms were actually adaptive survival responses at the time of trauma, and also recognise the strengths of trauma survivors. It is a less 'pathologising' approach that I find refreshing. Trauma processing therapy, psychodynamic therapy, sensorimotor therapy, mindfulness, art therapy, CBT, ACT, internal family systems/ego state therapies, EMDR and others as my clients need. This varies from client to client and depends on the severity of their situation. However I think clients should know within a few sessions if this is moving in the right direction for them. Meeting a wide variety of people and supporting people as they make changes and process the issues that are bothering them. I like the way it gives me the chance to really be with people in a deep and personal way. Therapy feels very 'real' to me and that connection is rejuvenating and rewarding. Too many to mention. I love reading and music! I have an extensive background in counselling, psychology and health education, working in drug and alcohol, sexual assault, disability and complex trauma services. I have a special interest in child abuse and trauma; dissociative disorders; supporting child abuse survivors with parenting issues; pregnancy and birth trauma; and other adult trauma.